The US is a Center-Left Country; Why is its politics FrankenRight? In a recent column opinion writer Roger Cohen notes that “Europe is alarmed by America’s’ embrace of a latter-day Mussolini” – namely Donald Trump. 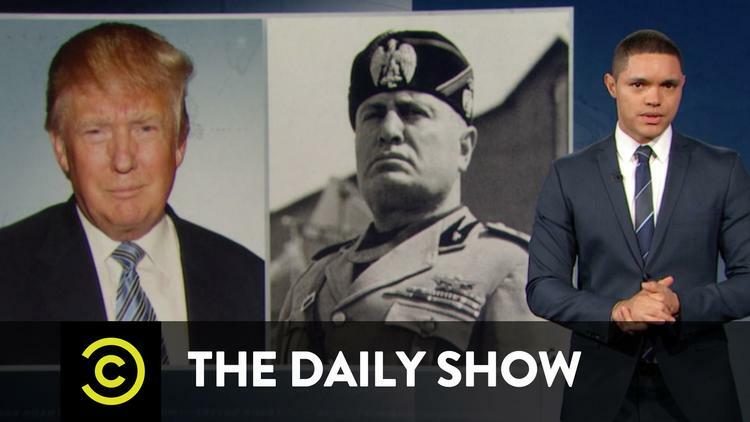 In a recent column the liberal New York Times opinion writer Roger Cohen notes that “Europe is alarmed by America’s’ embrace of a latter-day Mussolini” – namely Donald Trump. But what “democracy” is it exactly that might die in the United States? As is rarely if ever noted in “mainstream” U.S. corporate media news and commentary, a quiet progressive U.S. majority has long supported greater economic equality, increased worker rights, a roll-back of corporate power, and trade regulation. Most Americans continue to favor real national health insurance on the single-payer Canadian model over corporate health insurance; large-scale government job programs over “deficit reduction;” a significant “peace dividend” to move federal resources from the giant Pentagon budget to meeting social needs; serious environmental regulation and protection over the destruction of livable ecology; and a significantly more democratic distribution of wealth and income. The United States’ unelected and interrelated “deep state” dictatorships of money and empire go back long before Trump cam on the scene as a serious presidential candidate. They have always given a cold response to such popular sentiments: So what? Who cares? Public opinion is pitilessly mocked by harshly lopsided socioeconomic realities and coldly plutocratic politics and policy in the U.S. America is mired in a New Gilded Age of savage inequality and abject financial “corporatocracy” so extreme that the top one percent owns more than 90 percent of the nation’s wealth along with an outsized portion of the nation’s “democratically elected” officials. Examining data from more than 1,800 different policy initiatives in the late 20th and early 21st centuries, Gilens and Page found that wealthy and well-connected elites consistently steer the direction of the country, regardless of and against the will of the U.S. majority and irrespective of which major party holds the White House and/or Congress. As Gilens explained to the liberal online journal Talking Points Memo, “ordinary citizens have virtually no influence over what their government does in the United States.” Such is the harsh reality of “really existing capitalist democracy” in the U.S., what Noam Chomsky called “RECD, pronounced as ‘wrecked,’” with the “liberal” Democrat Barack Obama in the White House. Consistent with Page and Gilens’ findings, public opinion is being badly mocked by the ongoing presidential election – the latest corporate-managed quadrennial electoral extravaganza to pass for “democratic politics” (supposedly the only politics that matters) in the U.S. Under the reign of RECD, it’s irrelevant that the nominal socialist Bernie Sanders is the only one of the top presidential candidates actually and sincerely running in accord with majority public opinion on numerous key issues. The people don’t choose the nation’s ultimately viable presidential contenders: big money election funders (including self-funders like the billionaire Trump), major party officials, and corporate media managers do. And these “elites” have decided that Americans next November will have the choice between a thoroughly documented and longstanding fake-progressive corporatist and imperialist Democrat, Hillary Clinton, and the noxious, neo-fascistic nationalist Trump. That verdict is clear from the results of yesterday’s giant “Super Tuesday” primary elections held in twelve U.S. states. Sanders, Ted Cruz, and Marco Rubio can hang on a bit longer but the die is cast. So what if the blustering real estate tycoon and television bully Trump stands to the right of U.S. public opinion? So does Mrs. Clinton. The U.S. corporate media has been following “The Donald’s” every preposterous and offensive word, tweet, and facial gesture while consistently downplaying Bernie Sanders’ huge rallies on behalf of progressive policies that the majority of citizens support. It is the bombastic, latter day Il Duce, Trump, not the calm and civilized New Deal liberal Sanders who has been designated as the “authentic” and “populist” alternative to the neoliberal corporatism of the Clintons. Presidential balloting is an especially bad surrogate for democracy when it takes place just once every four years under the thumb of media, election, and party systems rigged to guarantee business- and empire-friendly outcomes. Second, we need to guard against the possibility that a deepened sense of popular powerlessness will be engendered when Sanders is compelled to tell his supporters (as he promised from the start) to vote for Hillary, a candidate who epitomizes much of what he claims to be against. Progressives must not let Sanders’ inevitable defeat fuel the illusion that progressive, social-democratic policies lack majority support in the U.S. They should remind their fellow Americans that candidate-centered politics is not the sum total of all the politics that matters. There’s also the more imperative job of building a great grassroots social movement to organize mass worker and citizen action beneath and beyond the quadrennial electoral extravaganzas, whatever their outcomes. Such a movement should include in its list of demands the call for an electoral system that honors the longstanding majority’S view that two big business and empire parties are simply not enough to capture to the actual spectrum of public opinion. That would be an elections and party system that is truly worthy of passionate citizen engagement.